Anyway, despite planning ahead I still had to photograph 100 pieces of paper and finish my prize ship and create asteroids the day or two before. I barely made it. 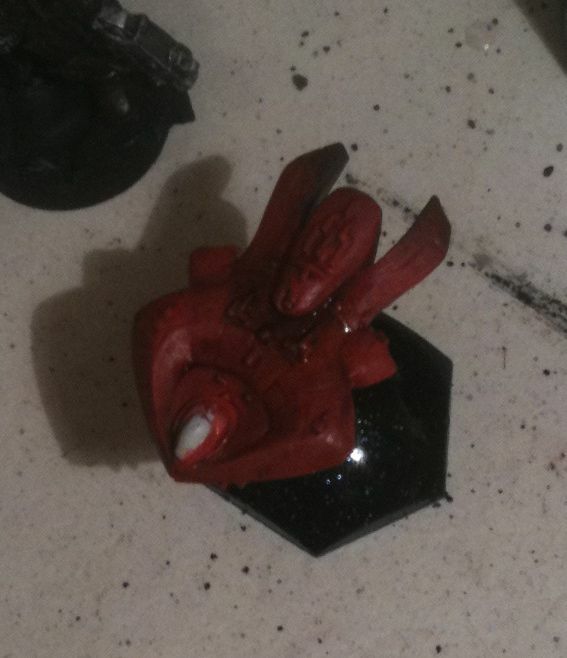 The paint was still wet on the asteroids and they’ll need yet more black paint and some dry brushing to be truly done. I also should make 4 or 5 more, maybe even a full 10 more as that is how many little styrofoam balls come in a back. I’d wanted to use lava rock, but didn’t expel much energy looking for it. I just used balls which I melted with some liquid plastic glue I’ve had for ages. This was probably toxic and a bit dangerous, so open a window and move anything important like your prize ship well away from your work service. Friday night at Trumpeters Salute was a bit weird as it seemed like more games were being run than there were players. And even after I managed to get 4 players they kept wondering off to talk to people and look at stuff. They seemed surprised my game moved so fast and their turn was literally up in a minute. Then to top it all off they wanted me to run it again on Sunday. No way, I knew my back and life would need readjusting. Plus I had to almost beg to get my first two players. Next year I’ll do it bigger and better and likely on Sunday. Astro Smash and Silent Death are really beginner friendly and there were a lot more people there on Saturday and more kids. Kids like to blow stuff up quickly, they don’t care about historical accuracy. Astro Smash has zero historical accuracy and even sacrifices some physics and such for fun. Fun over physics especially in outer space. The naked chicks are done and officially entered in the Lead Painters League. I thought of one or two more highlights I meant to do. Another layer of red on some of the lips, a highlight of silver on the shackles… I already spent too much time on models I don’t really have a use for other than to get bonus points for in an online painting competition. Still no pics publicly available or even privately. 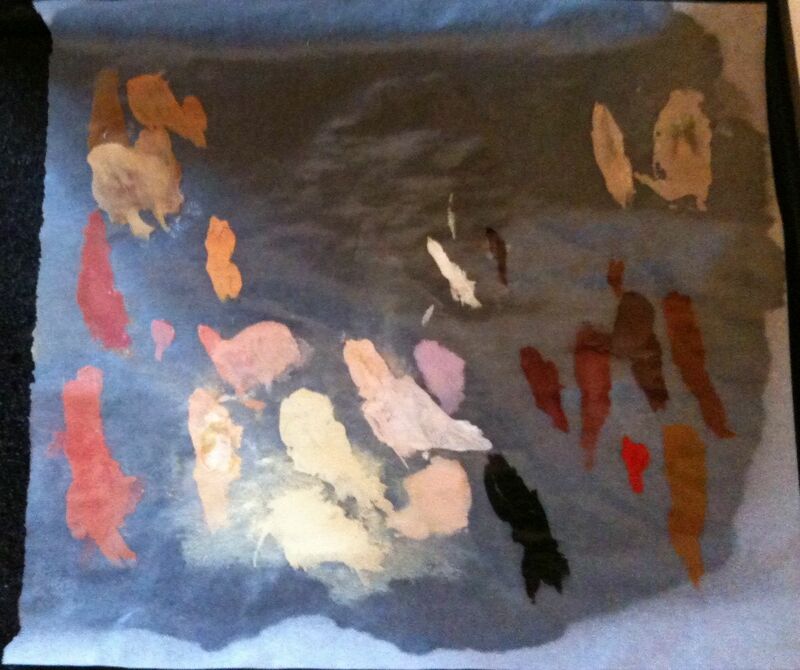 But I took a shot of the wet palette. I blended up some custom skin tones. Actually all the skin tones were custom, I have the Californian Blond, the Native American, the Mocha Skinned Lass, the Red Head and the Asian. I used all manner of thinned washes too. Hopefully they score alright. 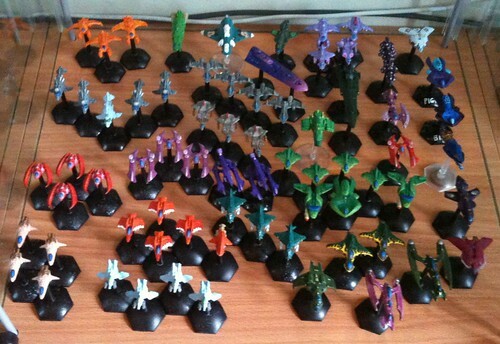 I dug out my Silent Death models, the spaceships in the title. Many were broken off their bases, some were even bent. It’s been years since I used them. I even bought some new ones off of Metal Express but I can’t find them. I know they got mailed to my current address, so unlike some other models I know I own but am not sure where they are, these models are definitely in my apartment somewhere. 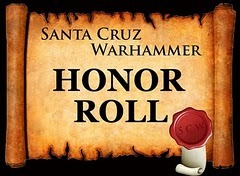 I’ll probably paint up a squadron of five for the Lead Painters League, but I don’t plan to spend as much time on them. 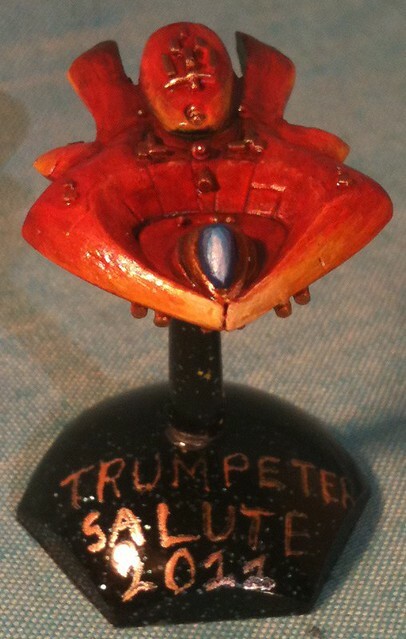 What I really need the spaceships for is to run an Astrosmash at this year’s Trumpeters Salute. 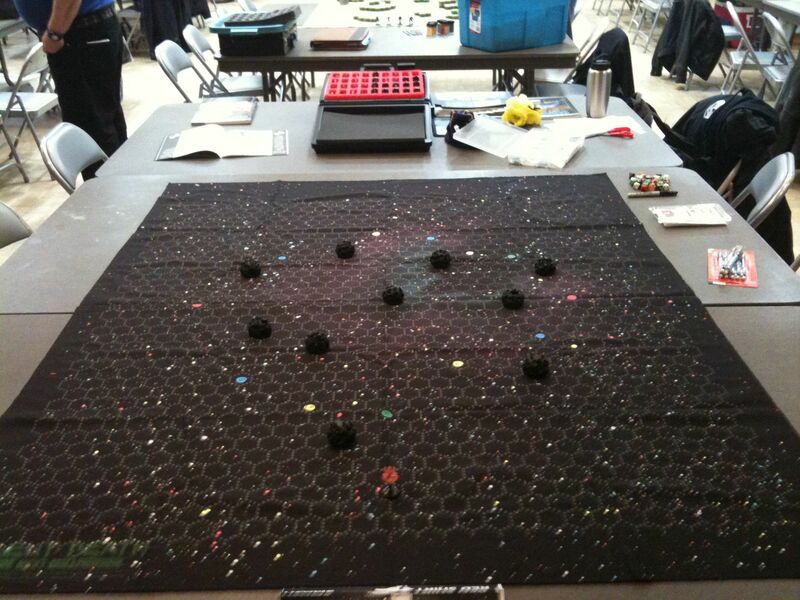 My demo game is April 1st on Friday evening that my event will be run, so if you want to play a fun little space dogfight came, come on down. You have to pay admission at the door, but they did rent an entire community center or at least three rooms in it, so there are other options and models to buy and gawk at. 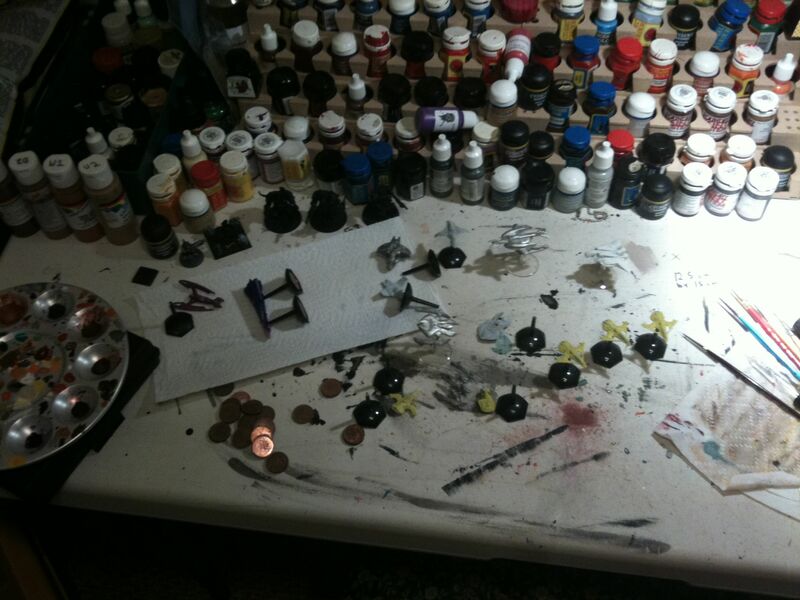 Here is a pick of everyone I’ve ever painted and still have in my possession, plus two that I won already painted from the Ottawa Red Shirts.